I love anything that is monogrammed. I mean, I’m a southern girl after all…don’t southern women have to love monograms? It may be a law that if you are from the south, you must love monograms. I also love wine, which means there are wine corks a plenty around here. So, I guess if life gives you wine corks, you must make something with them, right? This is a southern girls match made in Heaven, a monogram made with wine corks. 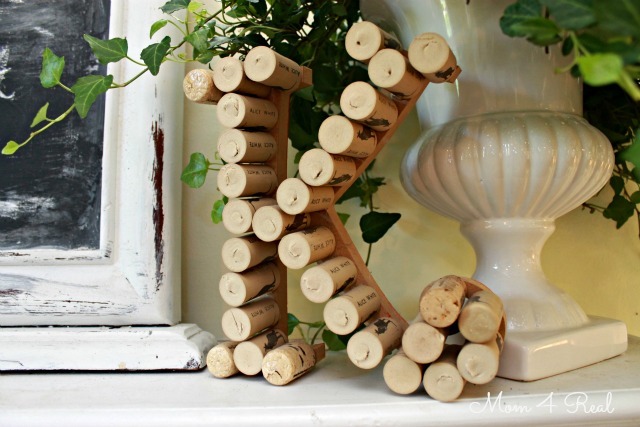 All you need to make your own is a wooden letter, a few wine corks, and a hot glue gun. Just hot glue the corks onto the letter, and Bam! There you have it! 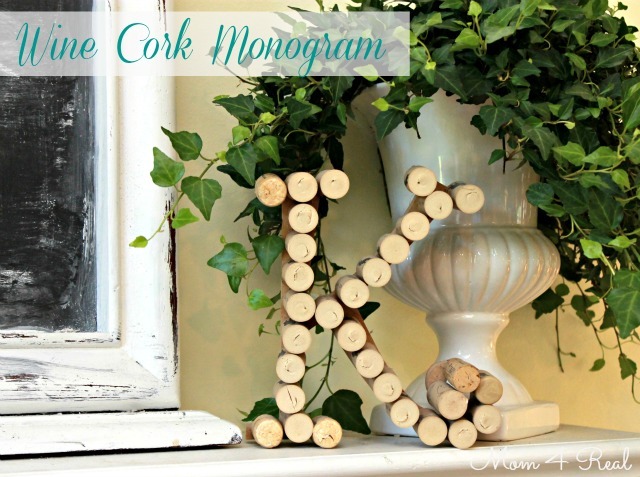 My wine cork monogram is living on my mantel right now, but wouldn’t it make a lovely wedding or house warming gift? To be honest, this is one of two wine cork monograms that I have in my home…the other one is in my kitchen, but has had many different homes. It’s lived on my bookshelves, it’s been tied to my Monogrammed Boxwood Wreath, and even been hot glued to a picture frame. Maybe I should just make a gazillion of them…but shew, I’d have to drink an awful lot of wine. Maybe you can just come over and help me out with that? Looking for some more wine cork ideas? Visit my wine cork project page by clicking here! 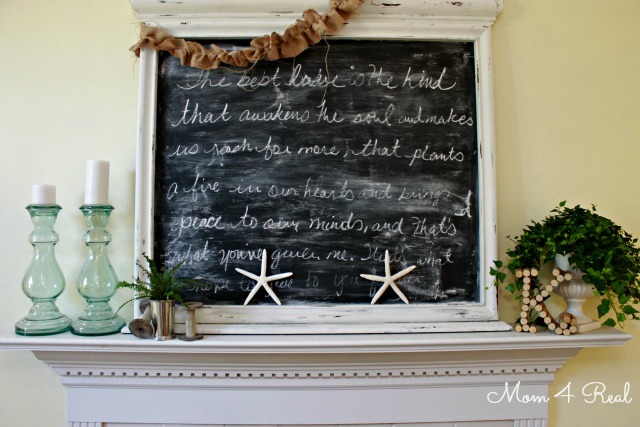 Sharing at Savvy Southern Style and Homestories A to Z. « Samsung NX1000 Camera + 2 $50 Gift Cards Giveaway! Adorable!!!! What an easy project with a big big punch of style!!! Hope you will share this tonight at TUTORIALS TIPS AND TIDBITS! We can work on making some more wine corks at Haven! I know some other ladies who would join us for the crafting! Love this, Jess! 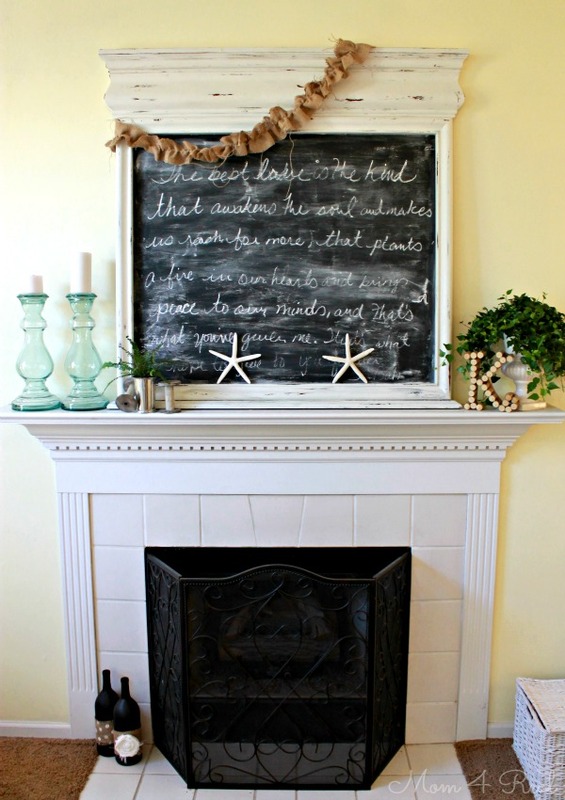 Such a great idea – I added it to my “Letter DIYs” board, as I’m also a sucker for monograms and letter art! Pinned for sure – thanks! This is really nice recently i am also working on wine cork project, thanks for this good idea I definitely make one.